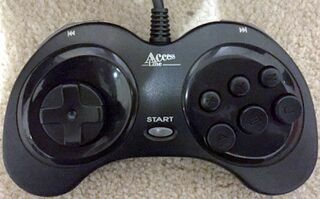 The Turbo Sat by Access Line is a third-party control pad for the Sega Saturn. It has turbo switches on the back of the unit. It has also been spotted under the ST-4 name. Sega OziSoft re-branded it and officially distributed it in Australia.